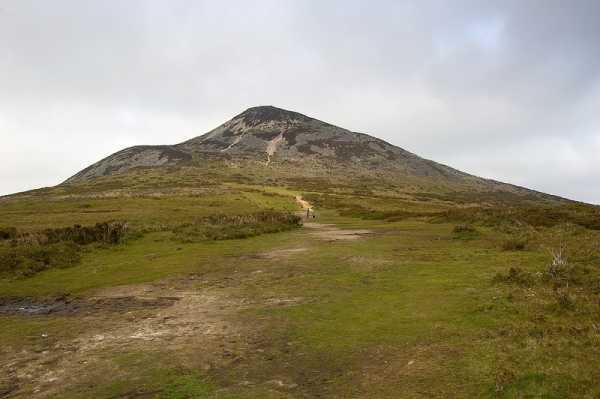 Undoubtedly one of Ireland's Iconic mountains and one which always reminds me of Errigal. An impressive looking sight when driving down the N11. I had never climbed it so took advantage of a spare hour when driving down the country on a work-trip. Parked at the car-park on the Southern side of the mountain from which it's a relatively short walk along an obvious track which swings around and up the Western side of the mountain. Unfortunately, a low cloud cover meant that I didn't get to enjoy the views from the summit.